I’ve received several emails from people who have questions about how to approach boutiques to sell their handmade jewelry. I thought we’d cover this topic today both to clear up some of the confusion as well as motivate you to take the steps you need to take to get your handmade jewelry into boutiques. I know that approaching a new jewelry outlet for the first time can be slightly scary since there’s always the potential for you to be rejected. It important to keep rejection in perspective since no jewelry, no matter how beautiful is right for every market. To reduce your chance of rejection when approaching a boutique, it important that you do your research first to make sure your jewelry appears to be the right fit for the store. I would first visit the store as a customer. Look around the store and make a mental note of the types of fashions and jewelry they carry. Make note of price points, how the jewelry is displayed, and how much emphasis is given to jewelry in the store. Is your jewelry of a similar general style and price point? If you design sterling silver jewelry pieces with semiprecious stones, your jewelry probably won’t sell well in a store that emphasizes lower end costume jewelry. Each boutique tends to attract a certain type of customer who has particular needs and tastes. 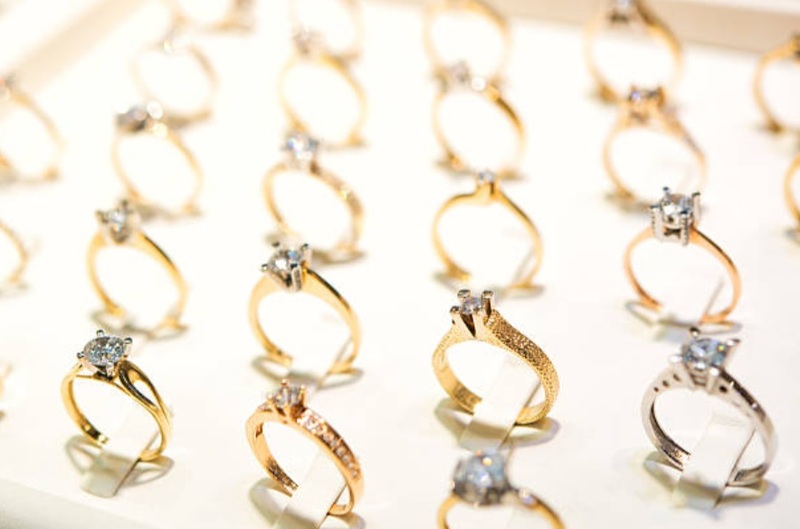 Make sure your jewelry is consistent with what that store particular customer wants to buy. When the sales person approaches, don’t reveal that you’re a jewelry designer at this point. You’re in the store anonymously to do your research. If you feel the store might be an appropriate market for your jewelry, take a business card from the store with you. so you’ll have their contact information. Once you’ve identified a group of stores that might be a good market for your handmade jewelry, you can begin the process of contacting the store owners. Select your first business card and give the store a call. Politely ask to speak with the owner. Let her know that you’re an established jewelry designer and would like to set up an appointment to show your latest collection. In one or two sentences, let her know why you think your jewelry would be a good fit for her store. (this shows you’ve done your research). If she says she’s not interested at the present time, ask if you can contact her at a later time or send her a brochure. If she agrees to this, place her business card into a special file to remind you to contact her again in a few months or send her a brochure. If you get the appointment, congratulations! Now, let’s prepare for the big appointment. I would start by selecting a representative group of jewelry pieces from your collection. Try to choose a few pieces from each style of jewelry that you make. You don’t want to overwhelm her with too many options since this can create indecision which diminishes your chances of a sale. On the other hand, the more types of pieces you take, the more you can sell. Important! Please transport your jewelry pieces to the store in a professional manner. You don’t want to roll your pieces into a towel and stuff them into a bag. One professional option would be to purchase jeweler trays that you place inside a carrying case. Make sure the jewelry is firmly pinned onto the display so you don have a tangled mess when you arrive. This doesn’t make a good first impression! Also be sure to bring along business cards, an order book, copies of any favorable publicity or recognition you’ve received, and your portfolio. Make sure you have a pricing sheet typed out and ready to take with you. Generally, boutique retailers use a keystone markup which means they double the wholesale price. Occasionally stores with higher overhead will mark up 2 to 3 times the wholesale price. Keep this in mind when pricing your handmade jewelry. You want your prices to be consistent with prices of other pieces in the store. You’re almost ready to head out the door! Don’t forget to make sure that you’re well groomed and wearing one of your pieces of handmade jewelry, of course. On our next posting, we’ll discuss what to say at the appointment.